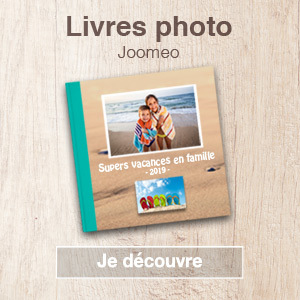 Joomeo is one of the world’s most comprehensive photo and video sharing platforms. We have always primarily focussed on private sharing requiring mandatory visitor identification via a login name and password, and this is what our reputation is founded on. 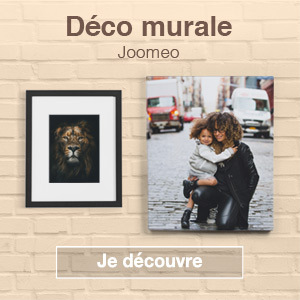 With PUBLIC SPACES, Joomeo makes it possible for you to provide an open door to specific albums of your choice, enabling you to promote your video and photography talents across the entire world and not just to your contacts! What are public spaces for? Public spaces enable you to collect all your public albums together on a single page that can be accessed by anybody just like an ordinary webpage or online blog. Modern, user-friendly and ergonomic in design, public spaces are accessible via all web-enabled devices using simple everyday browsers. Additionally, no user identification is required to enjoy access to shared photos and videos! Some new features you are really going to love! FULL-SCREEN mode to enable large-scale display of your photos or videos! Available on PCs/laptops, smartphones and tablets, full-screen mode is the best way to really show off the potential of your most impressive images with just a simple click. Slideshow mode is now available. Visitors who want to simply sit back and view your photos without having to keep clicking all the time will be able to launch a slideshow display of the album of their choice and enjoy watching it in full-screen mode if they wish. Furthermore, our subscribers also have the option of adding music to their albums to enhance their slideshow displays. And it of course goes without saying that videos can also be played in slideshows. Your visitors will be able to share your albums in slideshow mode directly from your albums’ sharing functions. This is an excellent way to promote your work and increase the virality of each and everyone of your photos and videos. And added to all this are plenty of other new features that we’ll let you discover by yourselves. How do public spaces work? Using public spaces really is simplicity itself! 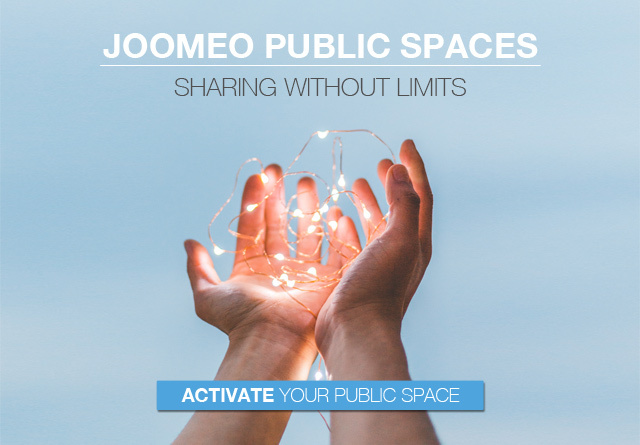 Activating your public space: This step is carried out in the “MY PROFILE” section of your Joomeo account. You will find a button enabling you to activate your public space just below your private space address. All you have to do is click it. The process is instantaneous and the address of your public space will immediately appear. Sharing your public space: Access your public space by clicking the link that appeared after it was activated then use the social network sharing buttons to distribute it to your community. You can even insert a link to your public space in your blog, in a forum, or anywhere else where it’s possible to share links by copying the appropriate link from the “Page actions” menu. What do public spaces look like? Click here to see a JOOMEO PUBLIC SPACE!